Only one constituency stood up to Bashir and his allied generals: the Sudanese people themselves. 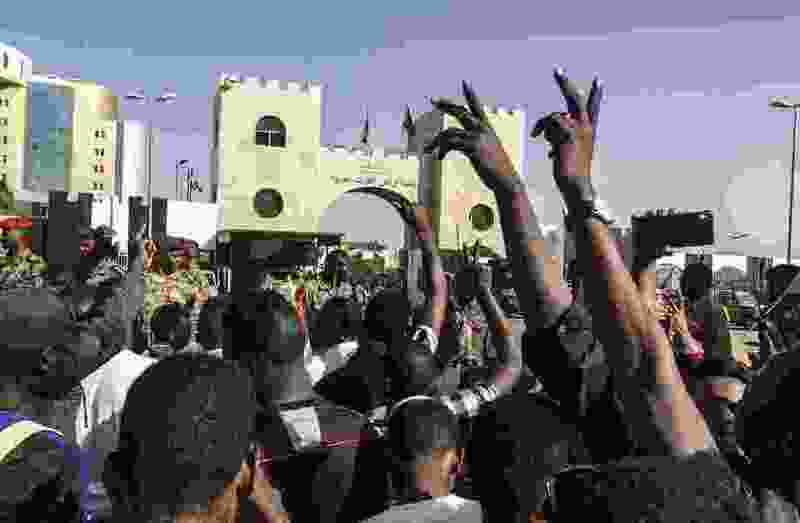 After years of organizing and resisting, Sudan's pro-reform social movement catalyzed protests across the country, resulting in a "palace coup" on Thursday. Bashir was replaced by his ally and defense minister, Awad Ibn Auf, who has been sanctioned for his role in genocidal crimes in Darfur. The next day, he was replaced by another military leader, Gen. Abdel-Fattah Burhan. The threat of major violence is real. For more than a dozen years, we have traveled together throughout war-torn areas of Sudan, hearing stories of death and destruction. The main perpetrators of nearly every violent assault that survivors described were the dreaded "Janjaweed" militias, government-supported gangs incorporated into the regime's security services and recently deployed to protester strongholds. Despite these concerns, Bashir's removal is evidence of a crack in the foundation of the diseased system. The international community now has a second chance to correct its past policy failures and side with the Sudanese people's demands. Regime change at the top is not enough: The time has come for systemic change. World leaders have urged Sudan to respond to the protesters with restraint. The United States, EU and African Union are vaguely pressing the regime to support a transition to democracy. But if the international community only urges change without taking action, Sudan could become like Egypt, where the corrupt, military-led system remains in place despite changes in leadership. The international community must instead build leverage to persuade the military to turn over full executive power to a civilian-led transitional government. Sudan's generals have a financial vulnerability. Disastrous government policies have left the country in crushing debt and in need of aid and debt relief. Sudan's aid lifeline has consisted of emergency donations from gulf countries and European assistance aimed at reducing the flow of immigrants to Europe - a task the regime assigned to some of its brutal militias. Now, all nonhumanitarian aid should be suspended until civilian rule is in place and the militias are disbanded. Additionally, the regime's quest to obtain debt relief has been blocked for more than two decades by its placement on the U.S. State Sponsors of Terrorism list. In the past year, the United States moved forward with a process to remove Sudan from that list, which would open the door to major debt relief. The State Department announced after Bashir's removal that it was suspending that process temporarily, and its resumption should be contingent upon the completion of a genuine democratic transition - not simply the announcement of one. But the most potent form of leverage would be to go after the assets laundered by Bashir and his allies through the international financial system. Bashir's military and commercial network has been siphoning off the country's resources for decades, reportedly stuffing bank accounts, purchasing real estate and underwriting shell companies globally. As a result of the documented corruption and lack of adequate anti-money-laundering controls recently highlighted by the Sentry, regime elites are likely expanding their efforts to hide their illicitly obtained wealth outside Sudan. Sudan's courageous protesters need more than words: They need strong international action for real change to have a chance.